This Pyramid Decanter is an interesting shape, making it a little different to your classic spirits decanter. The characteristic bubble effect is cleverly created by simply injecting a ‘bubble’ of air into the base of the Bucket whilst the glass is still molten. 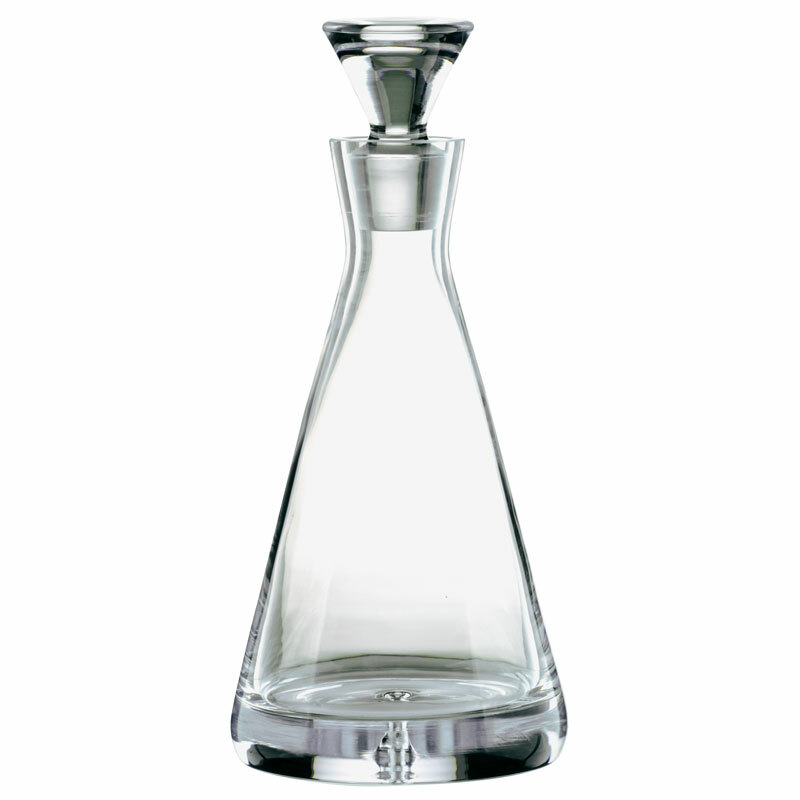 This Bubble Base Pyramid Decanter is a traditional and elegant piece and looks stunning as a decorative item too! The carafe has a glass top/stopped that is included which is ideal for holding your spirit, this prevents aromas from escaping and it means you're able to store the decanter (and spirit) away until further use.